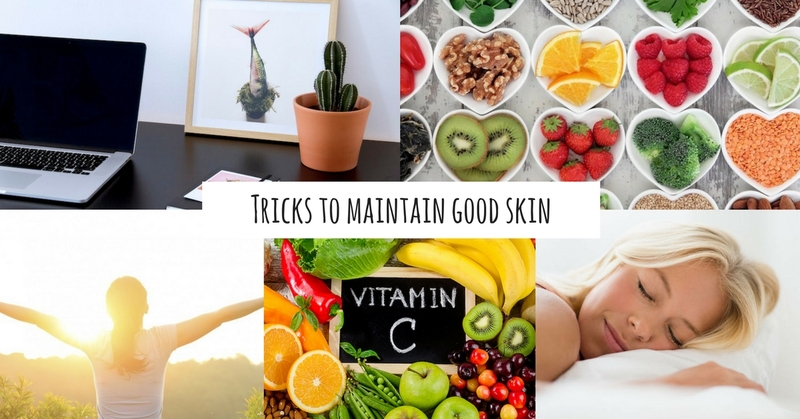 Skin products and facial treatments aside, there are a few basic things that one should follow to achieve a clear complexion. These age old tricks are straightforward and it takes a little discipline to get used to the routine. Check them out! Water is one of the basic needs for our body on a daily basis. On the other hand, according to an article on Drinkfiltered.com, sufficient water intake gives our skin ample moisture and keeps wrinkly skin at bay. Antioxidants from fruits and vegetables such as spinach, blueberries, acai berries, grapes and more should be part of our daily diet. On the other hand, consuming nuts such as cashew nuts, acorns, hazelnuts, walnuts, pistachios, pecans, and chestnuts are jam-packed with nutrients which our body needs. Plants such as cactus can help absorb radiation from electronic devices and act as an air filter. Consuming sufficient Vitamin C either from natural food or tablets can lessen the appearance of wrinkles especially among women. Vitamin C produces collagen as well. Ample exposure under the sun allows our skin to absorb Vitamin D. However, too much of the sun will also damage your skin and cause pigmentation. A quality 8 hours of sleep can rejuvenate your skin and make you feel vitality to take on the day. Regular exercises can help eliminate toxins and waste from our body through sweat. Personal hygiene level and overall cleanliness are very important to have good skin. Change your pillow case and bed sheet on a regular basis to prevent bacteria from growing on your sheets. After going through eight of these tricks, how many of them did you practice previously? If you haven’t practice some of them, you should try it out now!